Office noise terrorists. You know the ones: they constantly verbalise every thought and play YouTube clips through their computer speakers. They crave the affirmation of attention. I once worked with a woman who did the very same; all day, every day. “Right, that’s that done and now I’m off to the photocopier!”, she would proclaim. A few moments later: “I really don’t like the new Microsoft Excel”, she’d opine to no-one in particular. The only time I actually sat up and took notice was when her volume and pitch went up a notch to announce that Michael Jackson had died. One goal in two years of misses isn’t a game well played. That wasn’t her only way with noise annoyances. This very same woman seemed not to mind/care/notice that in a large room full of cubicles, no-one wanted to hear her small transistor radio leak (albeit quietly) talkback radio. The news is interesting if you want to hear it, infuriating if you’re trying to get five hundred more words down before deadline. The need to privatise one’s audio is greatest in public spaces. In a public space – an office, a bus, a cafe – minimising your noise spill benefits you and me. Sharing your audio is not something you would/should do in a public space. It’s unfortunate for the rest of us that office noise terrorists don’t think this way. Think of all the times you’ve found yourself irritated by a fellow passenger bellowing into their phone on public transport. Paradoxically, personal enjoyment of music in public might be better referred to as private audio. Whatever I’m digging on the bus behind headphones isn’t being shared with fellow passengers. It’s my audio experience and no-one else’s. It’s private. I am not sharing it with you. Whilst ruminating on private/public differences, I got to thinking about Apple’s earbuds. It’s the number one way in which the man in the street passively welcomes compromised audio into his life. He digs big TVs with LED displays but listens to music through those white earbuds or – worse – laptop speakers. Am I being patronising in suggesting it’s because the man in the street doesn’t know any different? The alternative – that he’s simply indifferent to good sound – is a far worse proposition than condescension from yours truly. Today, I am sat at a large table of co-workers. Hot-desking for the hive and lunch venues are one and the same. This makes for a challenging environment for folk like me: people who work best when singular in their concentration. Do one thing at a time and do it well. Multi-tasking erodes quality and slows you down. Yes, really. Thankfully, a revised approach to keeping the world at bay with music – to privatising my audio experience – has taken a leap forward in recent months. Currently lassoed to this MacBook Air is a CEntrance DACport (AU$339) – a DAC and headphone amplifier – and a pair of AKG K-520 (AU$150). The AKGs are both physically and audibly lighter than the (more transparent) K-702s used at home; those demand more rarified power from a Burson HA-160. Here was proof that a high-quality private audio setup doesn’t have to run you more than the cost of an iPhone. Or that second TV for the spare room. Tech speccing. CEO and chief CEntrance brainiac Michael Goodman doesn’t just play for team adaptive USB, he coaches it. 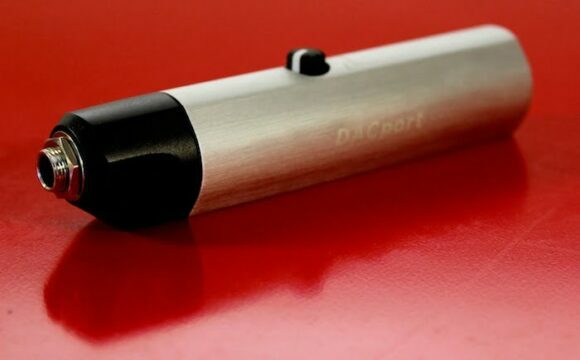 His AdaptiWave and JitterGuard firmware code that runs on the DACport’s TI TAS1020B USB receiver chip is licensed to many other big hitters in the DAC market. CEntrance’s code makes a mockery of those proclaiming asynchronous to be the ONLY way to confound jitter over USB. Better still: no drivers are required – plug n’ play up to 24/96 on Windows, OS X and Linux. There’s a Mini-A USB input socket for which a computer connection cable is provided. [Note to team CEntrance: a second, much shorter cable (a few cm?) would be a neat addition to this package]. The entire unit is powered directly from the 5V USB bus. 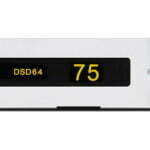 CEntrance have gone with an AKM 4396 DAC chip – the same silicon used in the DACminiPX/CX – and the output stage runs in Class A which means the DACport is slightly warm to touch after a few minutes of playback. Output is via a quarter-inch headphone socket. Click here to see more graphic details of the internal PCB layout. 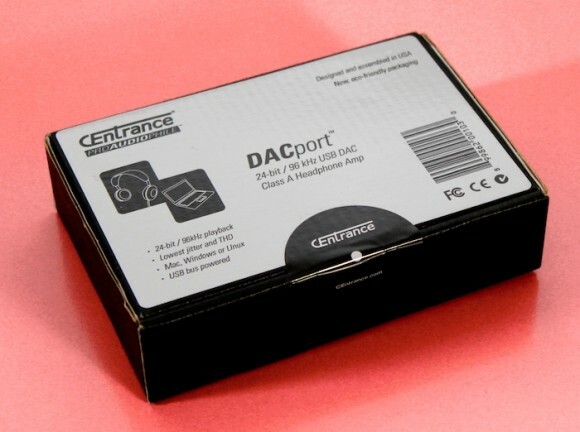 CEntrance offer a 1 Ohm modification for tailoring the DACport to specific to your headphone. This will run you an additional AU$210. It’s not for everyone but why would someone opt for this? “The main point of the 1 Ohm mod is that for some headphones the frequency linearity will be improved when working against a lower impedance at the output of the amp. You’d get a flatter frequency response that way”, says Goodman. 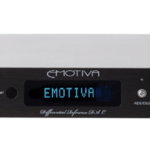 “Some people prefer a flatter frequency response, but not everyone does, so we ask the customer if that’s what they want before we make the mod. We typically use Tyle’s excellent resource when figuring out if a particular headphone model would benefit from lower impedance or not. Here is an example of a set of curves we use for analysis”. You don’t have to be a die-hard audiophile to hear that the circuitry of most laptops’ headphone output sounds flat and un-involving. Op-amps get you over the line with a sound that simply exists (but doesn’t live). Without the CEntrance DACport, Giant Giant Sand’s Tuscon sounds as it does via a Samsung Galaxy SIII: diluted, tonally weak, congested…and (on the phone at least) insufficiently loud. The DACport lifts the lid on layering and separation. The dynamic presence and pulse of Michael Mayer’s Resident Advisor podcast go up several clicks when the CEntrance alu-tube handles the communication between Apple and AKG. Bass tightens and goes lower. Electronic music fans will find much to like here. This was the rig that I took to the USA for pre- and post-RMAF road tripping. Driving from Los Angeles to Denver via Portland and Twin Falls is no small distance to cover in a week. Spending each evening away from home didn’t mean I had to compromise on sound quality. Neither the iPhone4 and (especially) the aforementioned Samsung cut it for ‘critical listening’. Let’s not call it critical listening. Instead, let’s refer to it as listening with intent; music not played to soundtrack another activity. That’s what I do at work. Private audio allows the listener to do that and (often) only that. If the sound quality is good enough, it gives you no choice. It forces your hand to stop browsing the web or writing emails. It commands you to just listen. Cliché? Sure. Truth? Definitely. From LAX out to Morro Bay. 72 hours later I was Portland-bound. A short day’s drive up the spine of the I-5 into Vancouver, WA eventually meant more time to sit back for a pre-dinner listening session. The Heathman Lodge channels the spirit of Twin Peaks’ Great Northern Hotel. Pinewood staircase and balustrades everywhere you look. 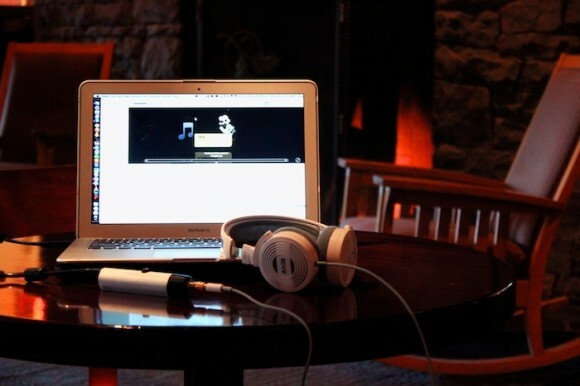 In the lobby’s fireside seating area, I tucked into A Sagittariun’s Resident Advisor podcast. This 90 minute mix contains some superb vintage cuts from Biosphere (‘Microgravity) and CAN (‘Oh Yeah’) before moving into more trad-techno territory. The low-end cleanliness and reach on Geir Jensenn’s ambient techno pulse goes deep; spiritually deep. Similarly, spaces between percussive clatter and backwards-vocal loops on the Germans’ progressive-jam leave you in no doubt that top-to-bottom layering is (once again) exceptional. These are two specific examples from many that I could have just as easily penned from the road. I roared through Thin White Rope’s Sack Full Of Silver in Torrey, Utah and bounced along to LCD Soundsystem’s Sound Of Silver in Flagstaff, AZ. Private musical experiences are more indelibly inked into memory on vacation. Without the DACport in tow for this road trip, I’m certain I would’ve instead slumped in front of the TV each night. 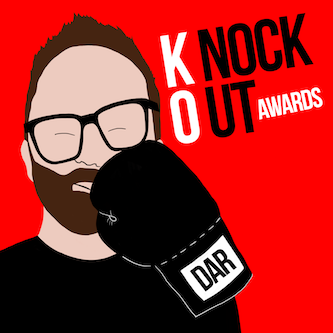 Eardrum buzz. Bringing market pressure up from below is Audioquest’s Dragonfly (AU$299). It too deploys the low power-drawing TI TAS1020B USB receiver chip. How the Audioquest and CEntrance solutions compare beyond the AU$40 that separates their RRPs will be investigated down the line. Stereophile’s John Atkinson offers some brief notes comparing the Dragonfly and the (line-level) DACport LX here. If you want the smallest headphone amplifier and DAC combo unit, go with the Dragonfly. 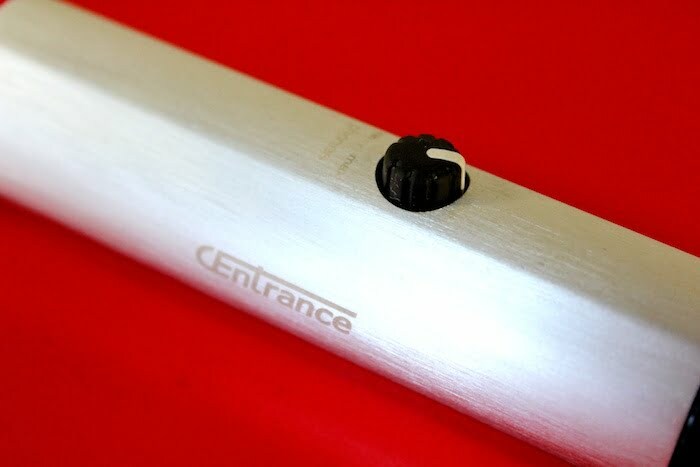 However, if you’ve a need for something more robust that you won’t lose at the bottom of a bag so easily, the CEntrance unit is the preferred option. 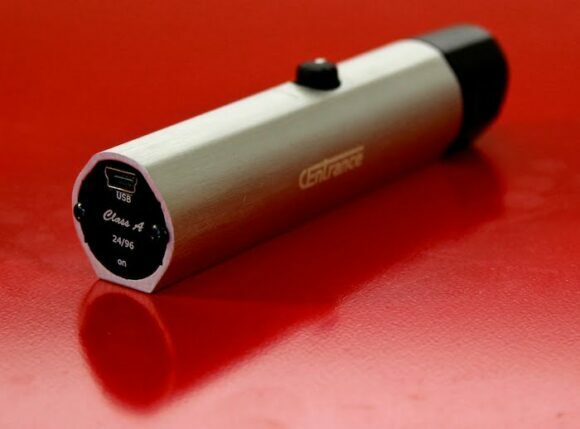 Its cylindrical shell is brushed aluminium and connotes a better sense of ‘value for money’ than Audioquest’s plastic thumb-key. Halving the cake for standalone DAC duties. 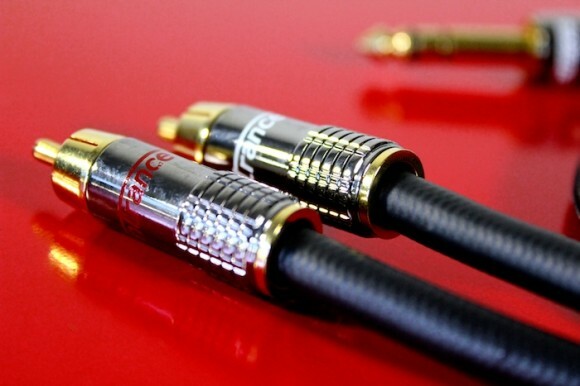 The CEntrance-branded 1/4″-to-twin-RCA breakout cable will run you another $80. Running up the hill in Darko HQ’s secondary rig, the DACport isn’t as airy or detailed as the Micromega MyDAC (AU$499). The DACport counters with heftier acoustic mass but instruments are also more congealed; somewhat inconsistent with what I’d heard in my own private CanJam. The CEntrance unit is stickered at two-thirds the Micromega RRP; the upper-frequency compromise remains firmly price commensurate. 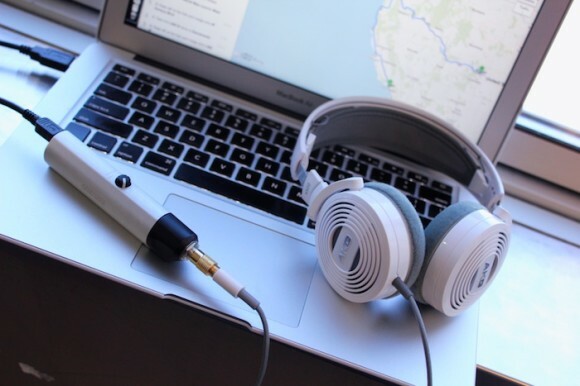 The DACport is fundamentally for headphones. Why buy a 2-in-1 if you only require a decoder? For those heads, CEntrance now makes the DACport LX from which the volume potentiometer (that sits halfway along the standard DACport’s chassis) is MIA. Forum chatter pegs the LX as ever so slightly more transparent than the DACport. At the CEntrance stand at the 2012 Newport Beach show, I heard first hand now their DACminPX was more resolving and energetic than the DACport in pushing a dose of Hecq through Aude’ze’s LCD-3s. The takeaway here is not the bigger brother’s superiority; it’s that a 5V USB device skirts so close to one that’s powered with 19V and three times the RRP. Michael Goodman is keen to maintain separation between the products in his range but, ironically, his price differentials are more emphatic than his sonic deltas. I could nitpick the DACport’s sonic qualities further by giving it a run with more luxurious ancillaries. Goind head-to-head against the Metrum Hex with Audio-gd amplification and Magnepan MMG, one could point to a slight lack of shape and distinction in the lower bass. The Hex owns the show with a superior take on the tonal and timbral subtleties of The Waterboys eponymous debut. As with all budget-ish DACs, one must accept compromise somewhere in the musical picture. This is not the DACport’s intended destination. You can’t take a MyDAC or Hex on the road and neither offer a headphone output. Private audio solutions they are not. No, the DACport is for your office – to keep noise terrorists out of your working week. It’s for hotel rooms on road trips. It’s for all those places where portability doesn’t mean you have to slum it with iDevice or laptop. If CEntrance can’t convince my white earbud-loving buddies that the difference between audible compromise and wondrous musical engagement is all but a few hundred bucks then the pursuit of high-quality private audio will remain as niche as the high-end. Against the backdrop of a fast-moving head-fi pack – and with this review taking place over two years since product launch – the CEntrance DACport stands its ground as a thoroughly recommendable private audio product. We are always standing by to answer any questions about the product. George over at Addicted to Audio in Melbourne has some DACPorts left, but they are going fast. The new lower price of $299.95 US is making us busy, so we are building another run for the Holidays.